Closeouts. 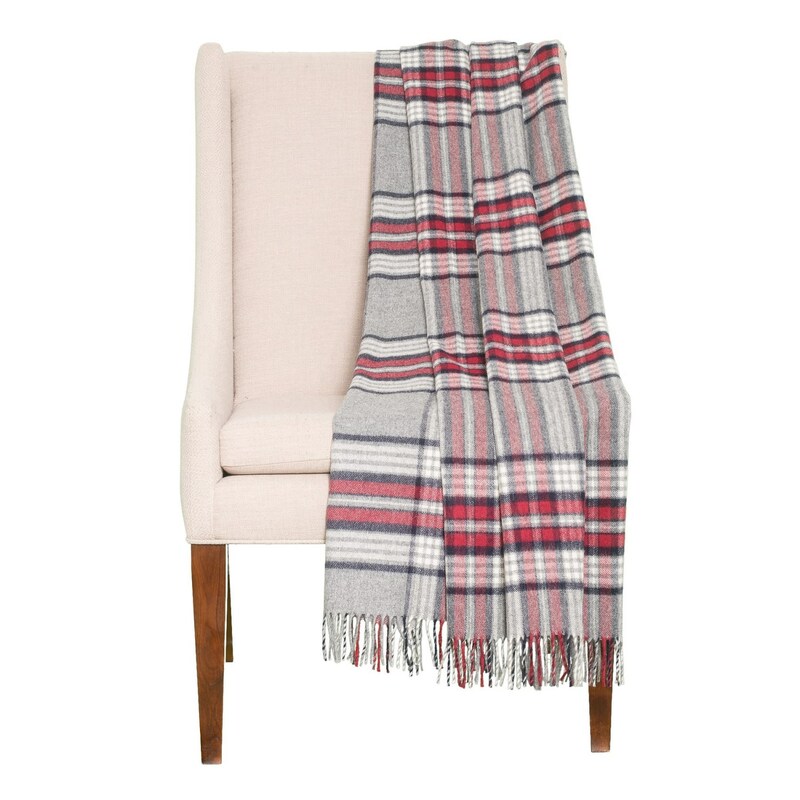 Add cozy, rustic-inspired style to your living space with Bronte by Moon’s Bilbao Check throw blanket. It’s made from itch-free, odor-resistant and oh-so-soft merino lambswool for snuggly, toasty warmth, with fringed ends for a laid-back, casual vibe.